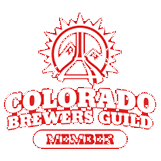 Our pricing structure is among the most competitive in the craft and commercial brewing industry. Shipping is included for all full container orders (20′, 40′ and 40′ extended) to your brewery or warehouse in the USA. Smaller and international orders will incur a shipping and handling surcharge based on the shipping destination. Contact us today for a 30-day guaranteed quote!